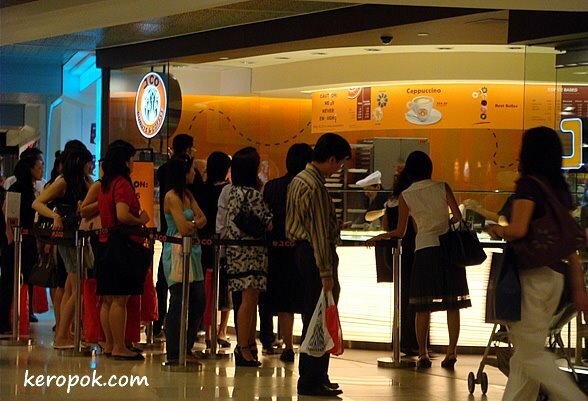 A photo of the queue from yesterday's post. No, I did not queue up. Queuing is not my hobby, unlike many people in Singapore. hehe. What was the last thing that made you queue for more than 15 minutes? Hmmm...I'Ve been missing good sweet and different donuts back home! There isn't much here...lol.